The Series 6 exam plays a big role in your career future and a huge role in your future as a whole. This test has many different options for test preparation guides. The FINRA Series 6, the Investment Company/Variable Contracts Products Limited Representative certification, is a very difficult exam, and has a big say on your future. 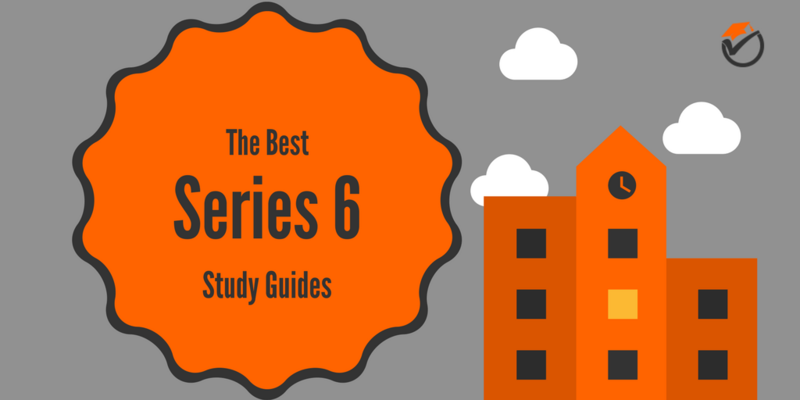 Because of these reasons I have created this list of the best Series 6 study guides. 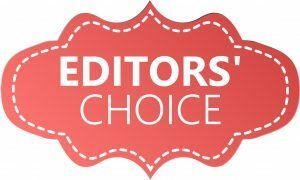 All of the info below should make it very easy to choose which review book solution makes it easiest for you to receive your securities certification. Want to see which study guides came out on top? 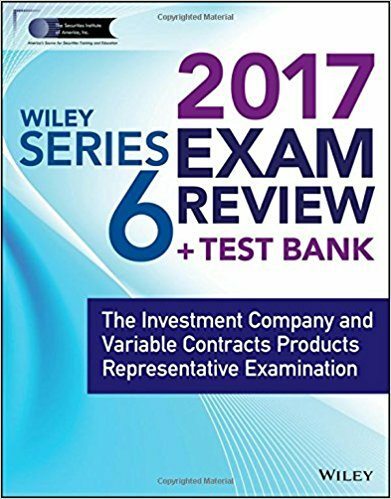 Wiley’s Series 6 Exam Review is our number 1 best overall prep book on our list of the top FINRA prep guides. This prep guide includes everything that you will need to get ready for the test. Nothing is left out. You will not be worried on exam day about the unknown because this book covers everything that you need to know. The concept review of Wiley’s is very concise and to the point. You will not waste time learning things that you do not need to know, making it easier to remember the things you do for test day. This thoroughness combined with conciseness is very rare in the test preparation world. Usually books are either concise or thorough, not both. Although this prep guide is very concise, it is very detailed and comprehensive. No subjects or topics are left out. Also, there are plenty of mock tests and questions making sure that you will never run out. Just about every question that can be asked on the exam is covered and some questions on the actual exam may be very similar to the ones found in this book! The one main flaw of Wiley’s is that the chapter structure is not well planned and the prep guide is not have very good flow. This makes it sometimes difficult to study for long periods of time. Abrupt changes in direction and topics can be really jarring and distracting. Even with this one flaw, Wiley's really shines above all of the other books on our list. Because of this, Wiley’s Series 6 Exam Review is our best overall prep book on our list of the top FINRA Series 6 license prep guides. Pass the 6: A Plain English Explanation is our best value prep book on a list of the top FINRA preparation guides. The one main positive about this prep guide is that uses plain English and concise explanations. This simplicity and conciseness makes it very easy to study this prep book for the test. The prep guide also provides a great outline for the exam and goes point-by-point through all of the subjects and topics. You won't be frustrated from not being able to understand the concepts. As you may know, the test requires you to know the information at a much deeper level than other tests and Pass the 6 really helps you understand the meaning under the topics. Another good positive is that Pass the 6 gives you all the tips and tricks to avoid the traps of the test writers. One weakness of Pass the 6 is that the chapters and review sometime lacks structure and flow. This can sometimes make it difficult to study for long periods of time. Also, some of the question bank references are confusing, and although they are easy to understand, the long paragraphs make them hard to read through. It can be frustrating to be searching back and forth through the question bank and the paragraphs to find your answer. Even with these flaws, Pass the 6 is a very good preparation guide. Pass the 6: A Plain English Explanation is our best value prep book for the Series 6 certification exam. - Uses plain English and concise explanations to outline the exam point-by-point. Series 6 Exam Secrets Study Guide is our third best overall prep book on our list of the top FINRA Series 6 review guides. One strength of this prep book is that it is very well organized. This organization makes it very easy to study for long periods of time. You won't get confused by poor structure that makes you want to rip your hair out. Another positive is that this prep guide is very short and to the point. This saves you a lot of time as most students are very time-strapped. The sample questions are also very exam-like. You won't be surprised on the actual exam by questions that you have not seen before or that you were not expecting. The one main weakness of this review book is that it is somewhat lacking in depth. Since it is only 148 pages, it does not have enough length to cover all of the subjects and topics in depth. If you were looking for an exhaustive review book look elsewhere. 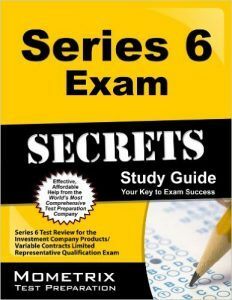 Series 6 Exam Secrets Study Guide is our third best overall prep book on our list of the top prep guides to prepare for the Series 6 exam. Kaplan Series 6 Securities License Exam Manual is our 4th best overall prep book on our list of the top FINRA Series 6 prep books. One plus of Kaplan's is that the units are well-organized and thought-out. Since the units are well thought out, it makes it very easy to learn and you can study for a lot longer periods of time since you won't get brain drain from confusion. Since you can study for longer periods of time, you will get a higher score on the test. This prep guide is really geared towards helping you learn faster and more efficiently. This makes sure that you won't waste time on the exam with poor time management skills or bad efficiency, which make you get a lower score. The one main flaw of Kaplan's is that the practice questions are not very exam-like. You might be surprised on test day by questions or topics that you have not seen or studied for. This does not leave a very easy feeling in your stomach on exam day. 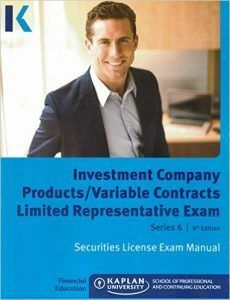 Kaplan Series 6 Securities License Exam Manual is our best overall prep book on our list of the best Series 6 review books. Series 6 Exam Practice Questions is our budget pick for the top Series 6 study guide. This prep guide is geared a lot more towards question-and-answer type review instead of an in depth analysis of the topics. Since this prep book was written this way, there are a copious amount of practice questions. It is very good for those students that just want more practice repetition and have a good grasp on the concepts. One advantage of taking practice tests before review is that you can assess your performance and see if you need to prepare or practice more. If you are getting a lot of the questions correct and think that you can easily pass the test, then you can save time studying. Another positive with this book is that the sample questions are very exam-like. They are very similar to the questions that you will see on the actual exam, giving you a leg up on the competition. Obviously since this question and answer guide is geared more towards question-and-answer overview, there is no in-depth review. At only 64 pages, this prep guide does not have enough length to cover all of the concepts deeply. You may end up searching other places for review of topics on the exam. 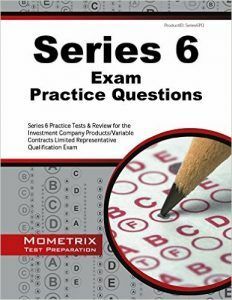 Series 6 Exam Practice Questions is our budget pick for the best Series 6 preparation guide. Our suggestions offer the most cost effective way to prepare for the FINRA test without breaking the bank. 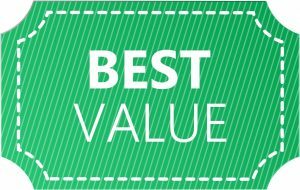 Even though Wiley’s is a very good guide and has tons of practice questions, it is also one of the most expensive options. Buy Wiley’s if you are looking for the best overall prep guide and do not care about price or length. If you are looking for something with better value that focuses a little bit more on practice questions, you can pick up Pass the 6: A Plain English Explanation. 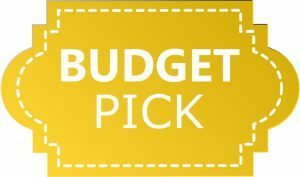 And, of course, if you are looking for a budget option, you can pick up Series 6 Exam Practice Questions.